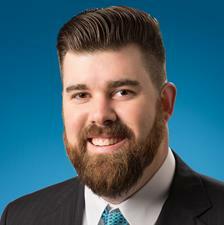 Ryan Mallet is a Credit Analyst who partners with our commercial lending team to review each client’s situation and ideas then identify the right loan structure to help him reach his goals. Ryan understands that appropriate financing is integral to a business’ successful growth, and enjoys the role he plays in helping clients achieve their dreams. Ryan has completed the Wisconsin Bankers Association Commercial Lending School, and participates in the Risk Management Association’s credit analyst’s roundtable. Ryan demonstrates his commitment to excellence by continually seeking out new learning opportunities. Ryan holds a BA in political science from the University of Wisconsin – Madison.